If you’re going to lead, lead big! In Texas, we’re known for our “bigger is better” philosophy. The Lone Star state features the largest of all state capital buildings, DFW Airport has the world’s largest parking lot, and three of the nation’s ten largest cities (Houston, Dallas and San Antonio) are proud to call Texas home. We also like our leaders to be big. Not in size and ego, mind you, but big in their vision, big in their willingness to take chances, and big in their dreams. Big leaders stand out from the crowd and are constantly demonstrating initiative – whether anyone is watching or not. And big leaders are the first to roll up their sleeves regardless if it’s in their job description. Take Baylor Quarterback, Robert Griffin. So many times during the past season, the Bears were behind and RG3 remained poised and confident, inspiring his teammates and leading them to victory. True leaders remain confident even in bad times. They inspire their teammates and motivate them even when they are losing. True leaders do things big. At Focus Brands, we applied this zig-when-they-zag approach during the recent economic downturn. While competitors to our Schlotzsky’s, Cinnabon, Carvel, and Auntie Anne’s brands were hunkering down and driving price points down, we upgraded and enhanced our stores and brand image. The result? Our sixth straight year of increasing corporate growth. Our success even got me on TV! Remember, leadership is not given to you; it is something you give others. When you lead successfully, you bring opportunities to others through better job and career opportunities and satisfying work environments. You’ve got to go big. Look around to see what everyone else in your business is doing. While they are doubting, playing, daydreaming, and wishing, you can lead your team to Texas-sized successes. 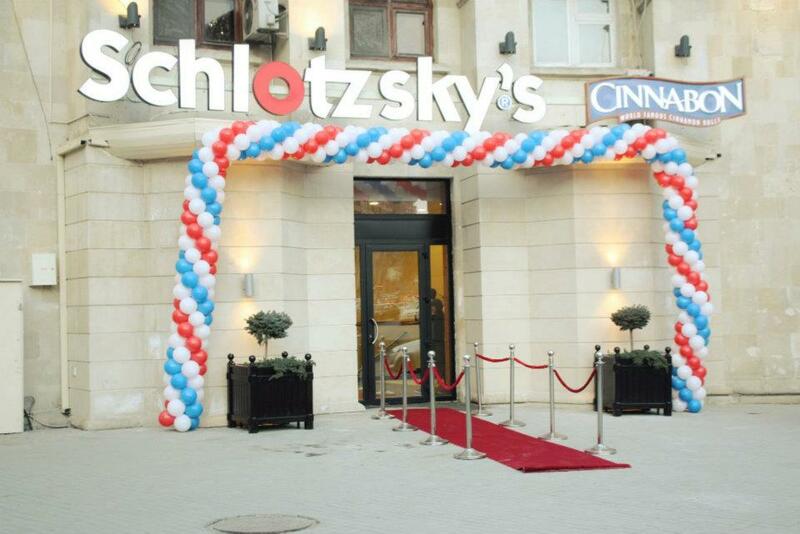 We just added Baku, Azerbaijan to the list of international Schlotzsky’s-Cinnabon locations. 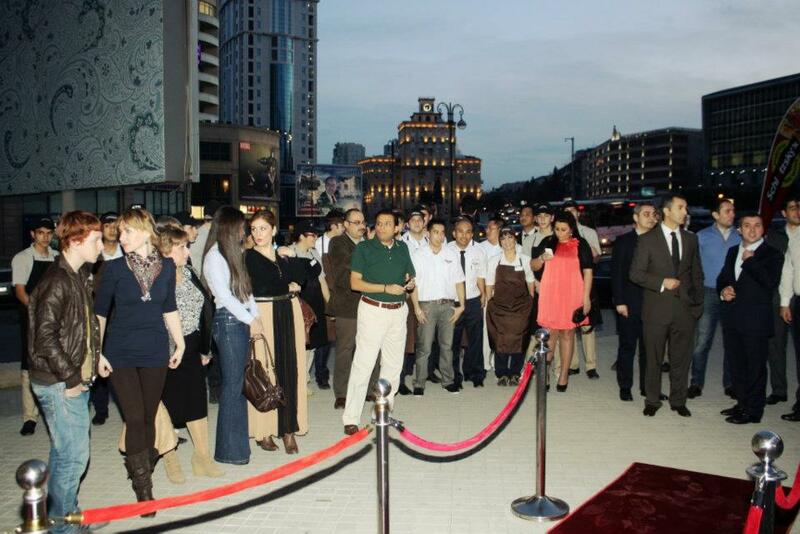 Congrats to our owners there and come see us at Inshaatchilar pr.38, Baku, Azerbaijan or visit us on Facebook. Schlotzsky’s-Cinnabon-Carvel opens in Buda, TX! The new Schlotzsky’s-Cinnabo-Carvel in Buda, Texas is scheduled to open at 10am on Friday, March 16! 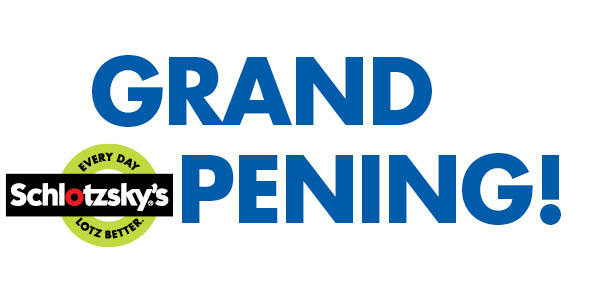 This is our first location to open in a Sac-N-Pac travel center! On Friday, the first 100 customers to purchase a Cinnabon 6-Pack on Friday will receive free Schlotzsky’s each week for a year, so get there early to snag a spot in line. Also on Friday, anyone who signs up for the Schlotzsky’s Bun & Fun eClub will be entered into a drawing for a Trip for Two Getaway (2 $500 gift cards for Southwest Airlines) and a 40″ flat screen television. If you can’t get by on Friday – no worries! Drawings for these prizes will be held at the end of March, so you have plenty of time to sign up for the eClub. On Saturday, March 17, we’ll have drawings throughout the day for four $50 Schlotzsky’s gift cards, one $100 gift card, four $50 Sac-N-Pac gift cards and one $100 Sac-N-Pac gift card. Austin radio station 98.1 KVET will be in attendance hosting a radio remote from 11:00 am to 1:00 pm. The scoop: Officials with Schlotzsky’s corporate offices last week joined franchise owner Cynde Whitson on a tour of potential seawall sites for the popular sandwich shop concept. The island Schlotzsky’s will be a third for Whitson, who owns franchises in League City and Texas City. Corporate officials must approve whichever building Whitson chooses to ensure it conforms with Schlotzsky’s standards and branding. Whitson said Monday she wants to secure the site before divulging more details. But she did confirm she’s bringing three concepts under one roof to the island. Along with a Schlotzsky’s, she’ll open a Cinnabon franchise, famous for oven-hot cinnamon rolls, and a Carvel Ice Cream shop. There are 800 Cinnabon franchises worldwide. Carvel, a 75-year-old name in ice cream, operates 500 franchises and is best known for “Fudgie the Whale” and “Cookie Puss” cakes. Schlotzsky’s, of course, is known for its sandwiches, pizzas, salads and soups. Atlanta-based Focus Brands Inc. is the franchisor and operator of Carvel, Cinnabon and Schlotzsky’s. Want to talk about it? Visit Buzz Blog, galvnews.com.